Mobile Deposit requires a smartphone with a camera and is accessed through our Mobile Money app. To make a deposit, select “Deposit” from the menu, key in the amount of the deposit, endorse the check with your name and “For Mobile Deposit Only”, and take a photo of the front and back of the check. That’s it! Within seconds of submitting the transaction, you’ll receive a confirmation. 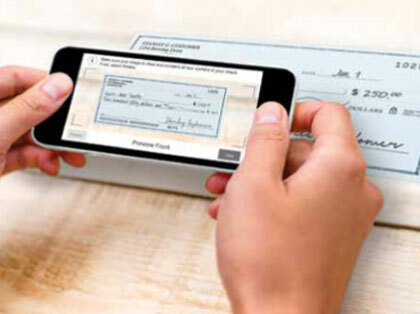 Personal and business U.S. checks can be processed through Mobile Deposit. Checks from Canada and other foreign countries, savings bonds and poor image quality checks must be deposited at the credit union. Mobile Deposit is very secure. It features multiple layer of security, giving your account and check data the highest level of safety available. When can mobile deposits be issued to The Family Credit Union? You can transmit mobile deposits to the credit union 24-hours a day, 7-days a week including weekends and holidays, with the exception of our routine maintenance downtime. Checks are generally credited within the next two business days. Make a note on the check that is was deposited via mobile. Keep the check until the funds are credited to your account (this could take a couple of days), then shred the check. 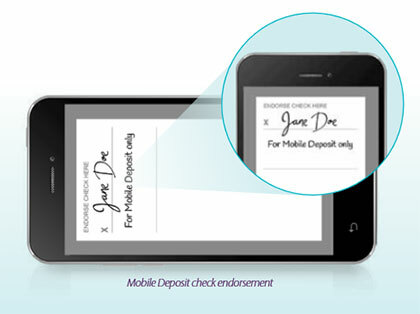 An image of the deposited check remains available on your phone for 45 days. The software has built-in duplicate detection tools that usually detect items already deposited. If the software detects potential duplicate checks, an alert prompts you to make a decision about the items in question. It’s convenient. Save tie and money by eliminating special trips to the credit union. It’s easy. Enter the amount of the check deposit. Take a photo of the front and back. Review and submit. It’s secure. Mobile Money uses several layers of security to protect your account and check data. It’s open 24/7. Day or night, you can check balances, transfer funds and make deposits. Sign up for Mobile Deposit today by stopping in to your local branch. You can also give us a call at 563-388-8328 to request the necessary documentation for Mobile Deposit. Once enrolled, download our Mobile Money app from your device’s app store to make your first deposit. Message and data rates may apply.